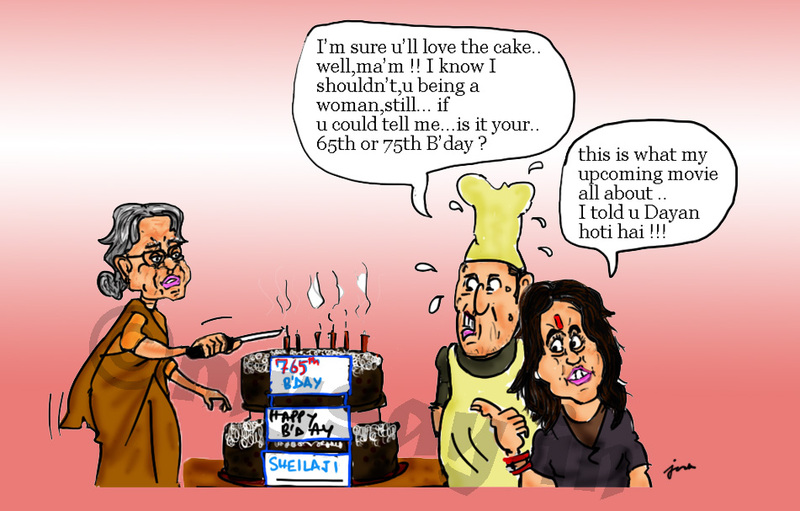 Sheila Dikshit's Birthday Cake says its her 765th B'Day ? 31st March 2013 was Delhi CM,Sheila Dikshit’s 75th Birthday and while the party workers celebrated her birthday , the one who may have ordered the cake was unsure of her age and hence a small goof up !! Small ?? I was surprised by the photo that came in the newspapers. How could they do this to didi? Making her as old as Eve?